← Don´t fret about the missing WPC: Two Photo Challenges in Two Days! – the CBBH Photo Challenge theme for October is WINDOWS! I found my first window as I wandered around the streets of the white village of Cómpeta. You´ve heard me mention this village many times before, because it is the closest to my home in the nearby countryside. Many of the very pretty village houses have plants outside their windows but inside the metal grills that are a common feature on houses in the area. 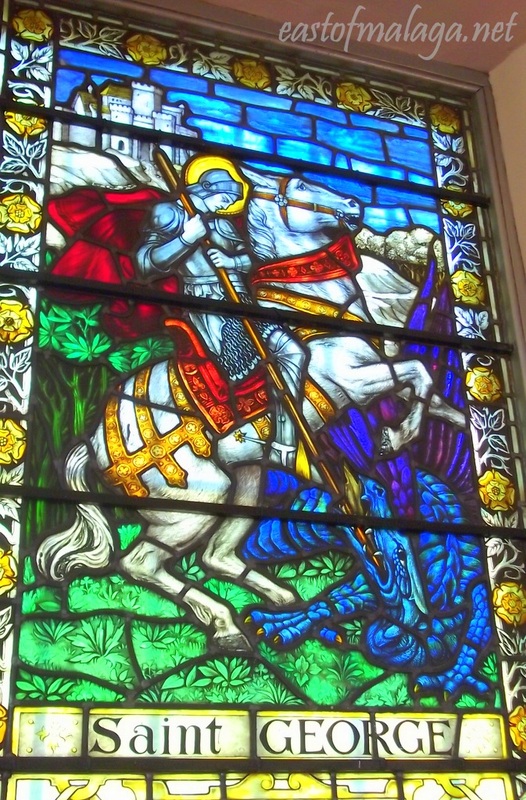 This beautiful stained glass window is in St George´s Church, the oldest Anglican church in mainland Spain. St George´s Church can be found within the grounds of the English Cemetery, about 300m east of the bullring in the city of Málaga. 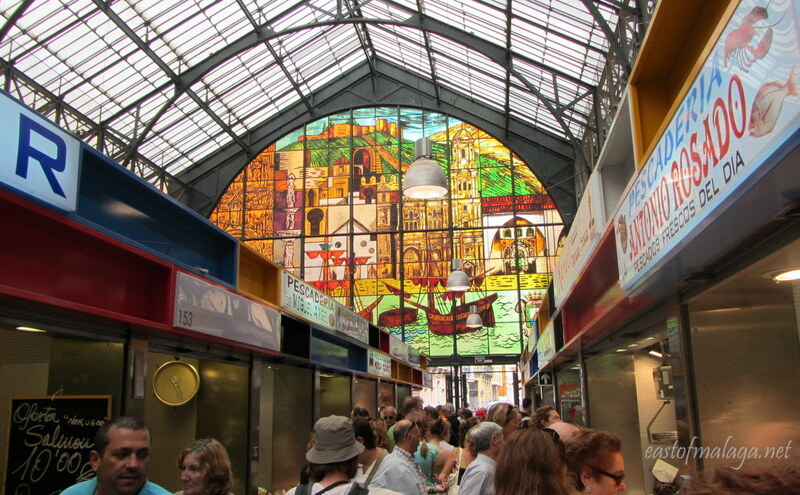 Staying in the city of Málaga, here is another stained glass window, but this time it´s inside the Atarazanas Market. Offering fresh, local produce at fantastic prices the Mercado Central de Atarazanas is most definitely worth a visit if you happen to find yourself in the city. Joining the bustling crowds of discerning locals at the stalls offering an abundance of seafood, fruit, vegetables, meat, spices and dried fruits is a wonderful way to buy fresh, local produce. Here are some of the ivy-clad windows and balconies of the Parador in Ronda, where we were fortunate enough to spend a few days last summer. Paradors are state-run hotels, often located in castles, palaces, monasteries and extraordinary Spanish national heritage buildings. The Parador of Ronda is a luxury hotel in the former town hall, which sits on the edge of a gorge. 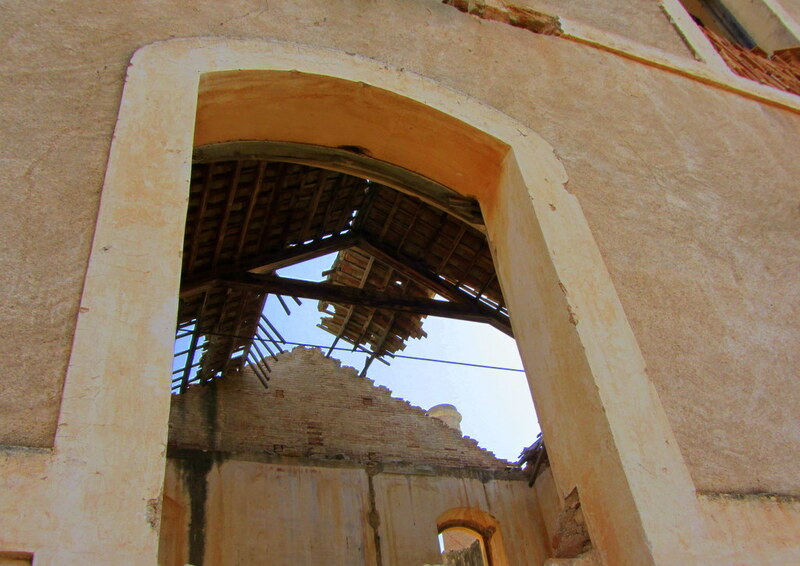 Do you remember when I visited the derelict San Joaquín sugar mill, on the old N340 coast road between Nerja and Maro? Though the glass in this window is long gone, it was still interesting to peer through at the interior of the building, though unsafe to wander inside given the state of the roof. The window of an aeroplane gives a unique look at the world from a totally different perspective. Whenever I fly, I always request of window seat because I love the spectacular views of the world from 35,000 feet! 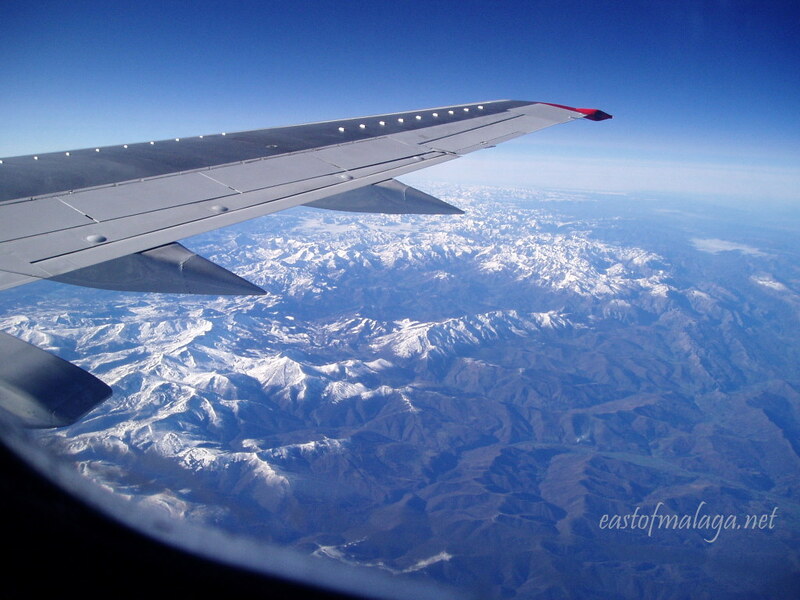 Here you can see the snowy mountains of northern Spain, as I am flying south, back home from a visit to England. 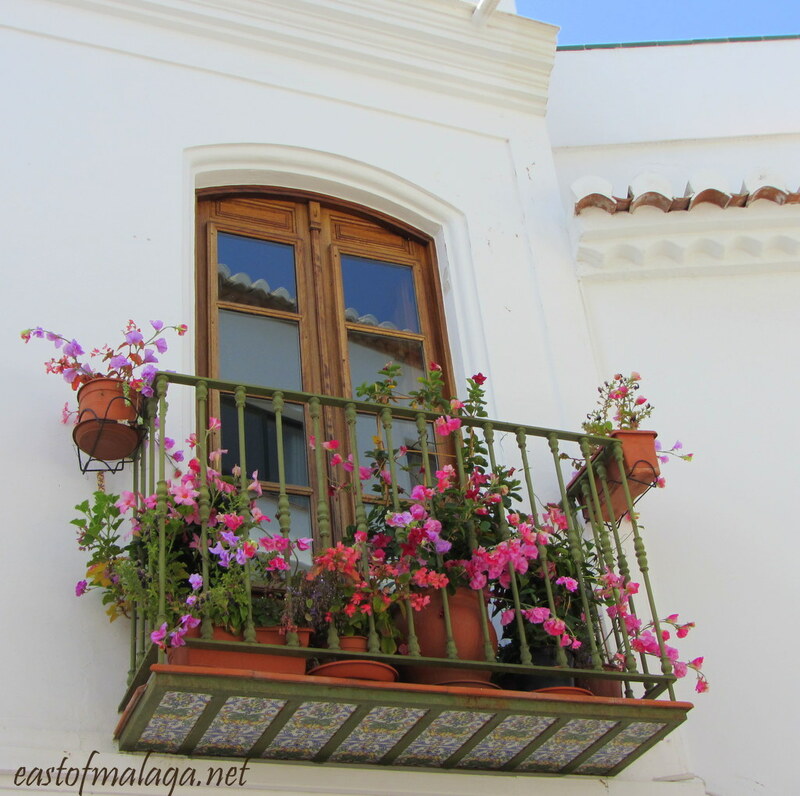 There is always a lovely display of flowers on this particular balcony in the nearby town of Nerja. I always think it must be delightful to look out of this window and see all the different shades of pink and purple of the many flowers. The patterned tiling underneath the balcony is very typical of the area, and I also like the way that the white building opposite and the deep blue sky is reflected in the panes of glass. My final window might surprise you, as most people think that it´s always hot and sunny in Spain – all year round. This photograph was taken a couple of years ago over the Christmas holidays, whilst we were staying in one of the cave rooms at El Ventorro near to Alhama de Granada. 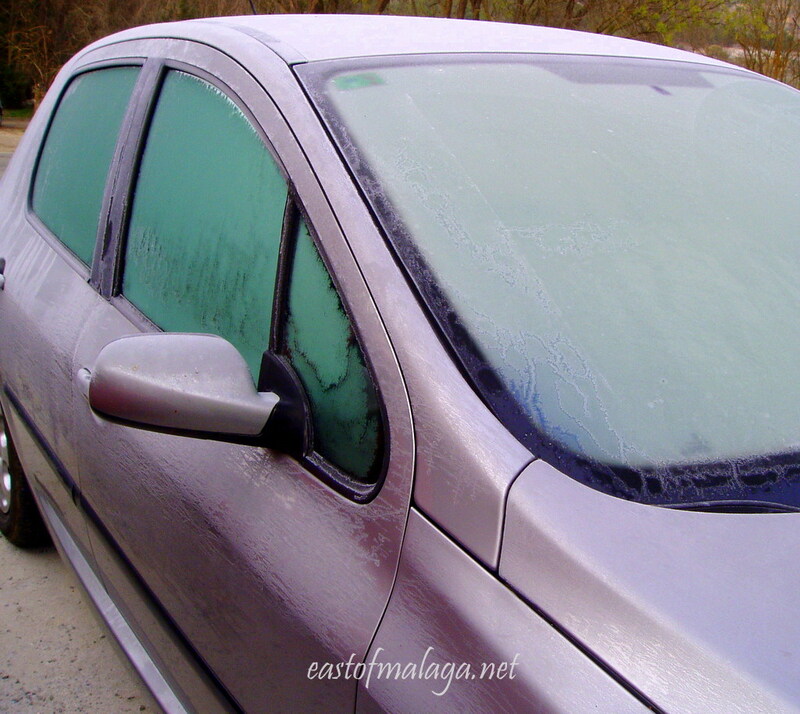 Being only about 50 kms from the city of Granada with the nearby Sierra Nevada mountains and ski resort, we awoke one morning to find our car completely iced up. We didn´t have long to wait though, because by the time we had eaten breakfast, the sun had come up and all the ice had disappeared! I have so enjoyed reading about Sally´s adventures this summer, sailing with her friend, Dan, on the western coast of Canada, near to her home in Victoria, British Columbia. 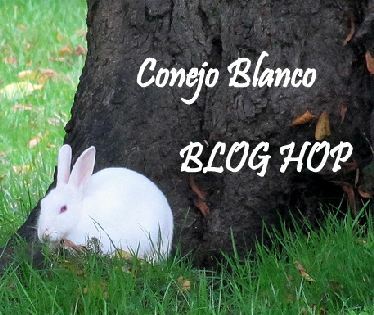 She writes with an easy-reading style, and has many stunning photographs on her blog. Deliberately Delicious has quickly become one of my favourite blogs to escape to. ** Whilst we are on the subject of delicious, Natalie at Cook Eat Live Vegetarian features amazing recipes and photographs that you just want to dive straight into! Diagnosed with breast cancer in 2009, though fortunately now fully recovered, Natalie attributes her swift recovery to a combination of conventional and alternative treatments and to her following a whole foods, mainly plant based diet. She is a freelance food writer, photographer and stylist, specialising in delicious vegetarian and vegan cuisine that you wont be able to resist trying! So that´s the CBBH Photo Challenge for October, folks! This entry was tagged Andalucía, Cómpeta, CBBH Photo Challenge, East of Malaga, Europe, Malaga, photography, Spain, travel, Travel theme, weekly image of life, Weekly Photo challenge, white villages. Bookmark the permalink. Ah yes, I decided to put that on to remind everyone. Even though there is lots more time with a monthly challenge, it’s easy to lose track of the weeks! Of course it’s also a timely reminder to me to prepare next month’s challenge too! Love your windows this month Julie, especially the one in the Pena Palace at Sintra. Amazing! Thanks for the links to your two featured blogs. I don’t know either of these – SWEET! Hi Marianne, love your pictures and I hope you will enjoy mine! 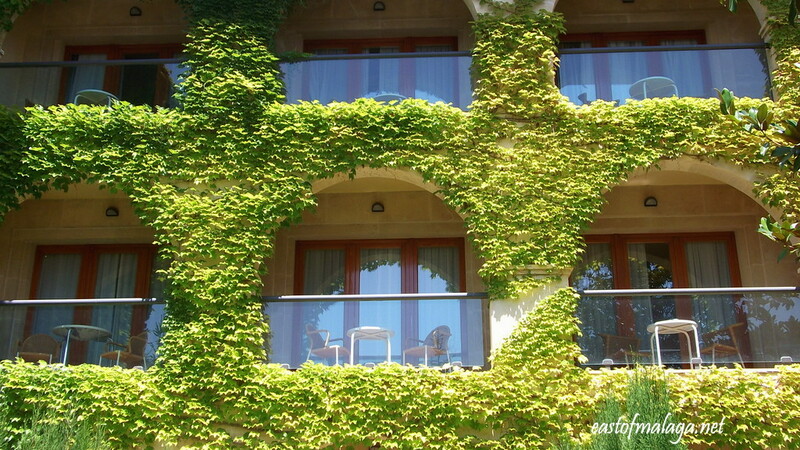 Yes I certainly do MariaGiovanna – what a lovely introduction to windows and balconies around Italy! Hi Meg and welcome to the CBBH Photo Challenge for October. What a lovely place you have chosen to show us the windows of. I hope to visit Giverny one day, the former home of one of my favourite painters, Monet. Your photos are stunning – and I look forward to visiting the links you have shared with us all. I´m already cooking up November´s challenge! Better late than never – I made it this month with something – yea !!!! What a fantastic story behind your entry too, Jo! The video is wonderful to watch the move. Fascinating. My favourite of your window shots is the first one – the framed sky looks so perfect. OH I´m sad to hear that, Amy. The same thing happens to me with some sites I have followed too, though I don´t know why. It must be a fault with the WP administration. What wonderful possibilities your windows offer. I like that – a promise of things to come. Great entry, Meredith – thanks. here’s mine! and thanks to WordPress I have a snazzy new layout too! Thanks for another excellent to the CBBH Challenge for October. I´m loving the new WordPress Gallery format, Alyson. Your selection of Windows is impressive, but my favourite is the first one! hello there, my first time to join… Here’s my entry..
Hi Miljo Anne and welcome to the CBBH challenge! You´re welcome – I have been really enjoying your sailing posts over the summer months. Madonna? OH how was it? I believe she is very good as a live performer. I’ll write about it soon – a great performance! Windows 8 will be out soon – I´ve seen the adverts on TV! Thanks for the reminder, I nearly did. Guess I’d better start taming some so long for when I need them. Yes, you did and thanks for the recommendations, Sylvia. What a great group of Windows you’ve shared! My two faves? The huge market stained glass and that lovely flowered balconette! Thanks – I wanted there to be a selection of windows – to get people’s creative juices flowing! Saludos! Hermosas fotos, gracias por compartirlas. Hi Marianne, this is the first time I join your challenge so here’s my entry http://autumninbruges.wordpress.com/2012/10/02/cbbh-photo-challenge-windows/ … It’s a nice initiative, keep it up! Hi Elisa – and welcome to the CBBH photo challenge. Excellent photos for someone who doesn’t take much notice of windows and doors. I particularly like the reflections in the huge building in Brussels and, of course, the boat window! That’s amazing! Thanks for introducing us to two blogs, Elisa. What a great set of responses to the challenge. Stained glass has always fascinated me. Often wonderful to look at, the effect its “shadow” has on the ground when the light shines through it is often quite beautiful. I would love to go to a class and learn to make a stained glass panel myself. Imagination-boosting theme :). I have pics, and I have people I want to mention too, but I would try to take fresh pics and different perspectives… after all I have entire month to do it 😉 Thanks Marianne! And, almost forgot…. your assorted photos are all beautiful and inspiring….. Looking forward to your different perspectives! 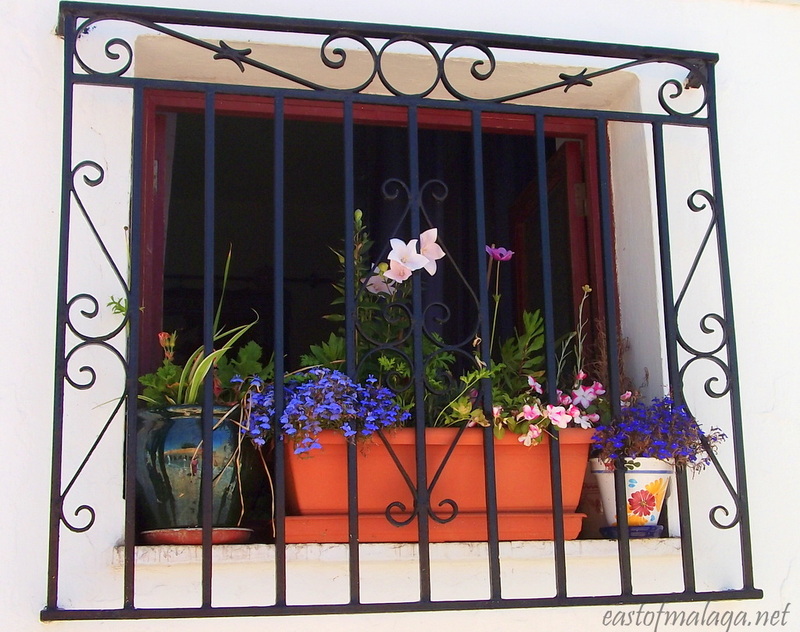 Wonderful photos … my absolute favourite is a balcony in Nerja! They are such pretty flowers, aren’t they? Also – I have been thinking of you when watching reports of recent rains and floods in Malaga … how is your way? We had some very heavy rain last Friday, but managed to escape the worst of it here, east of Malaga. There were more problems to the west though. Thanks for thinking of me, Daniela. Windows and Doors – one of my favourite photographic subjects! Me too – as well as bridges and steps! Been to Consuegra today – absolutely lovely! oooh! great theme!!! I love your photos – especially the stained glass in the market and the aeroplane shot – fab! Love the stained glass windows and the flowers in the balconies, they are very typical of Spain. I too always aim to travel by the window and see what is below and above. Thanks for visiting my blog too Marianne. You’re welcome Sami – glad you liked my photos. I’ve never seen this challenge before – but I love windows too, so that’s handy to know about Sandra’s challenge. I’m a sucker for doors as well! You know about the Legion of Door Whores? Don’t look through their windows TOO closely, Tamara! Beautiful windows, Marianne. I used my best window pics last week, for the “Thursday’s windows challenge”. 🙂 I have to see what else I can find. 🙂 I’ll come back an d check out your featured blogs when I have more time. A great collection and a surprise to see the frosty car! Thanks Gilly – most people are surprised with that! That’s the real shocker about monthly challenges – they still come around almost as quickly as weekly ones! Or maybe it sometimes just feels that way! Look forward to your entry this month, Lisa. I like your Malaga photos. I stand ther 15 yers ago and I liked it. So I have now a feeling of vacance. Glad you enjoyed the photos Suzanne – I’m glad I could give you a vacation! Stunning collection! You did this challenge very proud! Thank you Sheri – I value your comments very much. Very kind. Love your beautiful windows, Marianne. I love especially the ones with balconies and flowers!! And those ivy-framed windows are fabulous, as is the view from the airplane. I can’t wait to participate in this! Look forward to seeing your windows, in due course.